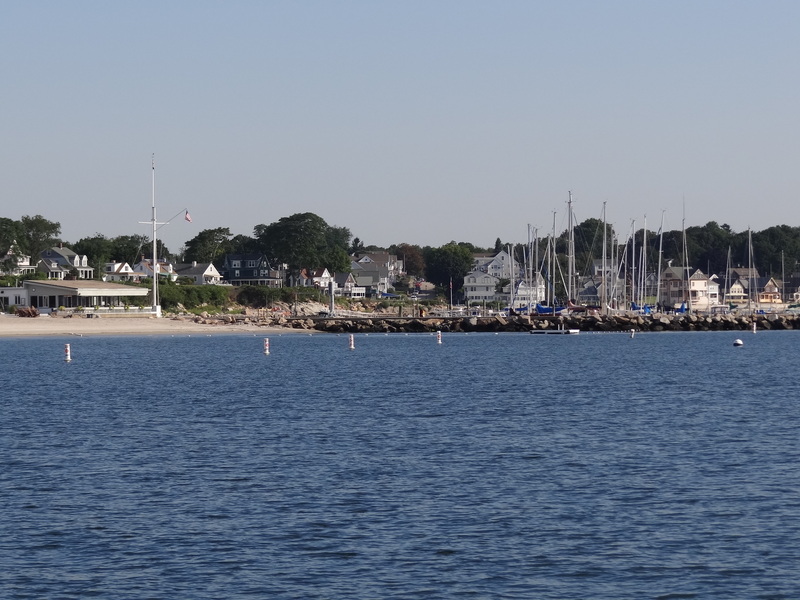 Friday late afternoon found us anchored off Crescent Beach in Niantic. A SE wind direction gave us a pleasing beach view as opposed to one of the Millstone nuclear power station to our NW along Waterford’s shore. 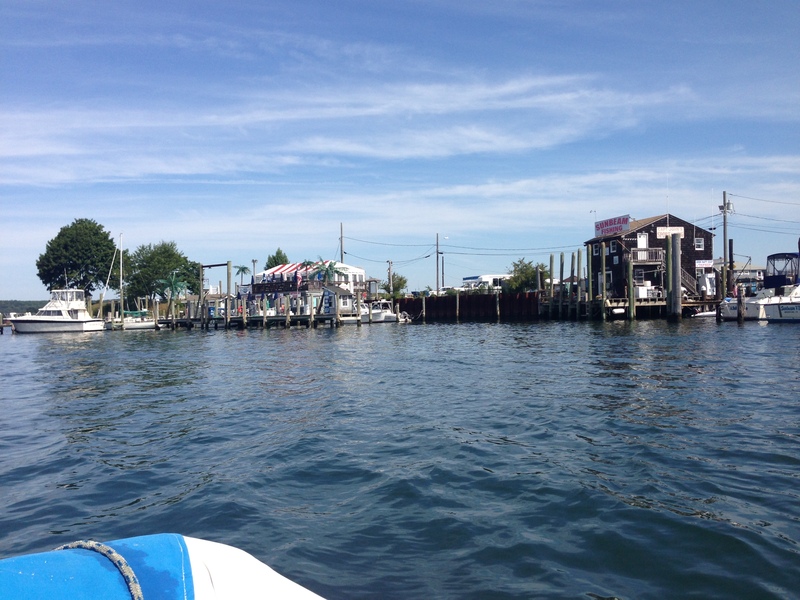 This isn’t much of a cruising destination; however, for us it was a new stop and a good way to prolong our eventual return to Deep River home base. Saturday morning we moved north a mile to a spot off what I call Boardwalk Beach. It is a town beach but not as cozy as the one near Crescent Beach and the Yacht Club. This one mile waterfront walkway, opened in 2005, provides views of Niantic Bay and Long Island Sound. You will find only two entrances to the boardwalk. Benches and interpretive signs along the entire length of the boardwalk provide opportunities to relax and learn more about the history and coastal environments you see from the boardwalk. Moving gave us a shorter dinghy ride into the inner harbor which took us under the new Amtrak bridge and the highway bridge. Entering the inner harbor (Niantic River) after passing under the bridges. We found a spit of beach to land on and bravely marched several blocks into town. Our local knowledge was useful as we’d driven here many times just never visited by boat. People outside their homes actually spoke to us; I thought for a moment we’d been transported south. Perhaps the proximity to water is a friendliness factor. Our first stop was Thistle Beads in order that I might find a few jewelry-making items on my list; and that I did. A couple of bakeries called out but we yielded to ice cream; egads- before lunch even. Main St is lined with useful shops, a small movie theater, a plethora of eateries and ice cream options not to mention banks, books and bars.